Car walking with alcohol - Off Topic - Drive On Wood! Large subject that I think will keep us in suspense for a long time, here is a 1902 drawing of an alcohol vaporizer from the Brouhot establishments, carburetor device before engine. 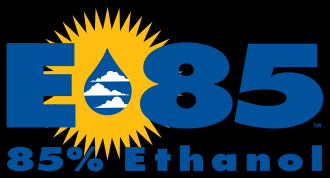 In some parts of te United States we can buy e85, which is an 85% percent mixture of alcohol with gasoline. I use “splash mix” to about 30%. I have been using this in a 91 Ford Ranger, 06 Corolla, and two smalll engins: 1970s Chipper/Shedder/Vac, 1960s 3KW generator. The 1960s engine was so easy to adjust by turning the mixture screw. For the 1970s engine I just let the engine run with a little bit choke. Alcohol makes a little more power and I have found that the fuel tanks and carburators stay beautifuly clean allways, and I don’t have to drain tanks or add stabilizer when I am not using them. 30% alcohol makes everything easier. Here the standard gasoline blend is 10% ethanol. I’ve read that ethanol blended fuel doesn’t atomize / vapourize properly in a carburetor resulting in a loss of fuel economy, besides that the alcohol contains less energy per volume than gasoline. Your experience with higher percentage blends is interesting. General experience with the blended gasoline here is it’s incredibly troublesome, if it sits for any time it forms gum and balls of crud, maybe that is worst over the winter, but any gas left in a lawnmower is a guaranteed clean out job come spring. Or maybe they are making poorer gasoline these days? Anything I run periodically gets fuel stabilizer as a matter of course. You live in Canada, so perhaps cold weather starting would be a problem. Nothing like the cold you get in Manitoba I’m sure, but we had some -15F nights here last winter. My 1991 Ranger with 312K miles started up with only a little extra cranking and that was using 70% ethanol. They still call it e85. I don’t know why. I work on my own vehicles. I took autoshop in highschool in the 1970s. And I worked on a farm as a kid. I remember varnish in carburators, fuel tanks, intake manifolds. I remember riding in the back seat and hearing a bunch of floating stuff scrape against the inside of the fuel tank. I don’t see varnish anymore. It’s gone. 70% ethanol. They still call it e85. 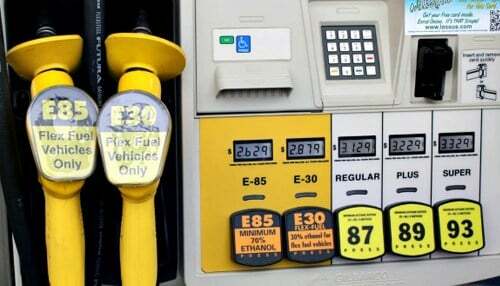 E85 here in Michigan is 85% gasoline and 15% ethanol. Do you have 70% ethanol? So using a carburetor would need adjusted nozzles for the greater flow of fuel, and in case of injection it needs larger injectors. Don’t forget, Methanol (wood alcohol) is Poison! Ethanol (Corn Liquor) must be “de-natured” with something like gasoline to be sold as fuel. L’AFR pour E ou M est différent de l’essence (méthanol 6.4: 1 = 1.00 lambda). L’utilisation d’un carburateur nécessiterait des buses ajustées pour un plus grand débit de carburant et, en cas d’injection, des injecteurs plus gros. Many shorthand letter in your description, can you have more details in your description please. Here in colorado. I have bought actual 85% ethanol at only one fuel station. One chain sells 83%. The one I usually buy from sells 70%. I go there just because it has the lowest price. All of them call their product e85. It seems quite likely to me that you are correct when you say that where you are e85 is 85% petrolium. It is a chaotic and confusing situation… I suppose this is, as they say, an emerging market. It’s a little bigger than just Indianna. Royal Dutch Shell, the largest petrolium retailer in the world is going ‘carbon negative’. But this is no surprise to me. We Dutchmen could allways smell where the money was. Brazil's successful sugarcane ethanol industry owes much to massive investment in infrastructure and research, reports Carla Almeida. Garry I have the same troubles with alcohol in the old updraft carburetors on my tractors. I am forced to buy fuel from Exxon or Shell I think is the other station or the fuel will turn to slime in the carb and I will be cleaning it out several times during the summer. I switched to ExxonMobil fuel only about 2 years ago now and have not taken the carb apart since before that it was about every other week I would be taking it apart and cleaning it. Dan, if your not aware of valve lubrication, I add a mix of 2 cycle, and kerosene(about an ounce of each to 5 gal. of unleaded) to lube valves. Been doing this for years with no issues for pre 1975 engines. lead in gas use to lube the valves. When using 70% ethanol I use “upper cylinder lubricant”. I follow the instructions on the container. I found a big plastic syringe that was designed for use with 2 cycle oil that works well. E85 in the states can be up to like 30% gasoline and they can still call it e85. E10 has a 1% leeway to account for mixing errors. I use it. It cleans gunk out of fuel systems and absorbs water as well. It is cheaper and easier then fuel additives. It looks as if we will be increasing from 10% to 15% ethanol in regular gasoline here in the United States. It seems that it is the consumers and our rural people that have made this happen.